What Every Women Need To Know About Morning Sickness? If you are reading this, probably you just happily found that the miracle of life is slowly growing inside your body. However, this happy feeling also comes with a lot of concerns. For first timers they could be fearful about what will happen to their bodies and how to deal with it, how to know when that feeling, that sensation or awkwardness is just normal or if they need to seek medical advice. The first thing you’ll be wondering about is morning sickness, something every pregnant woman has experienced and that you surely heard a variety of stories from friends and relatives. Today we’ll explain you in detail what is all about. It starts between the fourth and sixth week. In 90% of the cases disappears by the sixteenth week. The remaining 10% can last longer or even through the entire pregnancy. Only a third of the women vomit because of this condition while 90% experience the nausea. Each pregnancy is unique, even for the same woman; it may vary from one pregnancy to another. How to Recognize Morning Sickness? First, it’s important to notice that morning sickness can happen at any time of the day, even when the name may imply the symptoms happens only during the morning. Only 14% of women experience those symptoms exclusively at that time of day. The increase in Hormone Levels: During pregnancy, the human chorionic gonadotropin (hCG) and the estrogen levels increase, which has an impact on stomach acids and been associated with nausea. Placenta: The placenta is the organ that provides oxygen and nutrients to the baby but also generates a high level of hormones to create a healthy environment for the growth of the baby. Many women have sensitivity to these hormones and may experience nausea as a result. Blood Sugar: Everyone experiences a decrease of sugar levels overnight. This is a result of the body recovery processes that happen while sleeping. For a pregnant woman, this process starts taking more sugar than usual which may cause the morning nausea. There is not a medication approved by the FDA that completely treats the morning sickness, although a few will help you with some symptoms. You must visit your physician to make the proper treatment plan for you that may include changes to your diet and lifestyle, the addition of daily intakes of some supplements and in some cases medication to help your specific symptoms. Increase the protein and complex carbohydrate intake and reduce the fatty foods. Eat more often in smaller portions. Eat before you get up and when you feel a bit hungry (at least a few crackers will suffice in such cases). Keep your activities slow and calm, especially the morning ones. Avoid crowded, badly ventilated places where odors or food smells can increase the symptoms. Take your vitamin supplements at night. You may want to ask your health care professional about the different and best options for you. 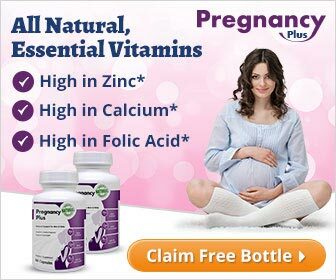 Vitamin B6: That has been widely accepted by the medical community as an effective first choice to treat morning sickness. Anti-nausea Meds: promethazine or dimenhydrinate will offer relief for the nausea symptoms. Remember that you need to consult with your physician to find the best combination for you. Morning sickness does not hurt the baby at all; in fact some studies suggest that women who had them had a lower chance of miscarriage, and that actually is a good sign that everything is developing as expected and the placenta is making all the right hormones. Mild weight loss is common during the first quarter and still safe for your baby. Dehydration because of vomiting is one of the main risk factors that will need medical attention. These are rare cases that represent less than 2% of women, where the morning sickness can lead to a severe weight loss that can potentially cause a condition known as Hyperemesis Gravidarum. Morning sickness is very common and should not be a reason for concern, as long as you follow the basic home care treatments and seek medical advice if you notice any of the mentioned complications.